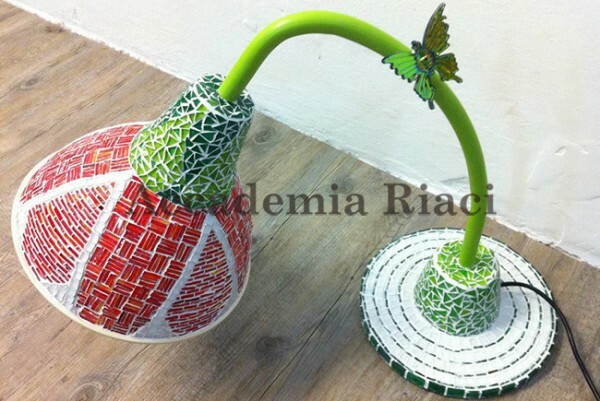 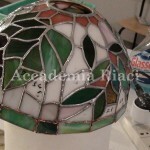 The Glass Art Department at Accademia Riaci in Florence, Italy considers glass to be an artist's material having remarkable and complex expressive range, as well as a studio discipline with limitless potential and a unique history that incorporates sculpture, architecture, design, craft and decorative art. 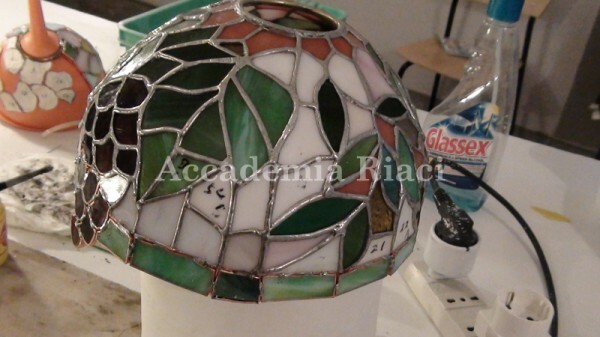 The department is a specific Tiffany Style stained glass, mosaic and fusion program that combines this rich and diverse heritage with an unending material and process investigation of glass, and a corresponding commitment to conceptual development and artistic criticality. 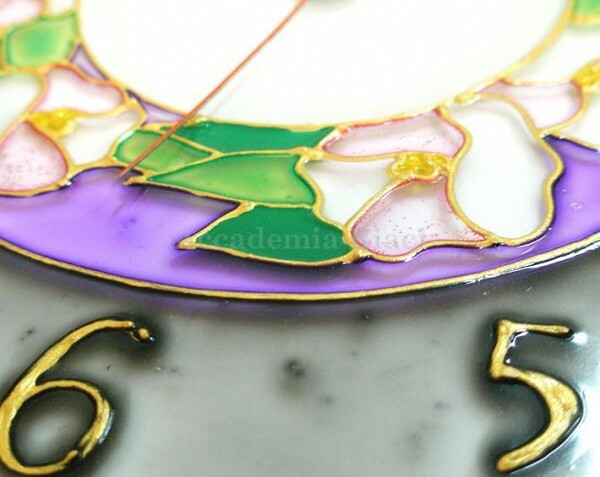 Glass majors are asked to value and nurture their native curiosity as the basis for a personal aesthetic that engages a wide world through continual experimentation and artistic striving. 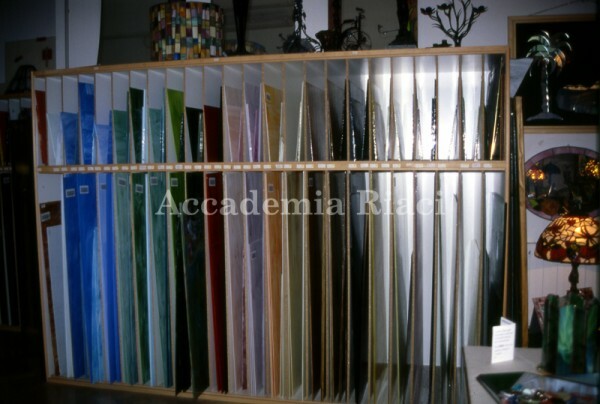 The glass department provides its students with a thorough technical foundation and broad resources for specialized material exploration. 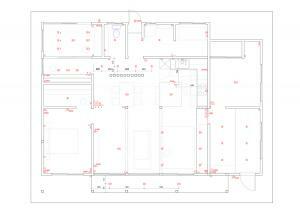 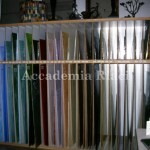 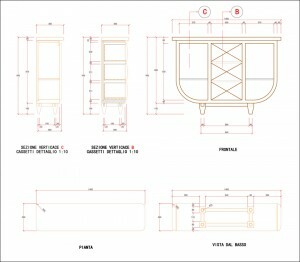 An extensive curriculum offers a full range of glass working processes. 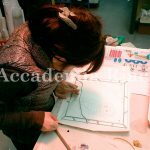 Through this program, you will not only acquire a solid foundation in your study area, but also develop specific, advanced skills, immersed in a stimulating learning environment. 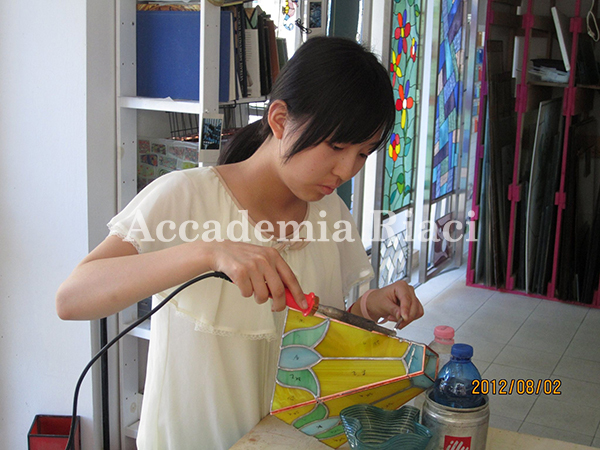 Moreover, you will have the chance to learn basic business practices, to start up you career as young professional. 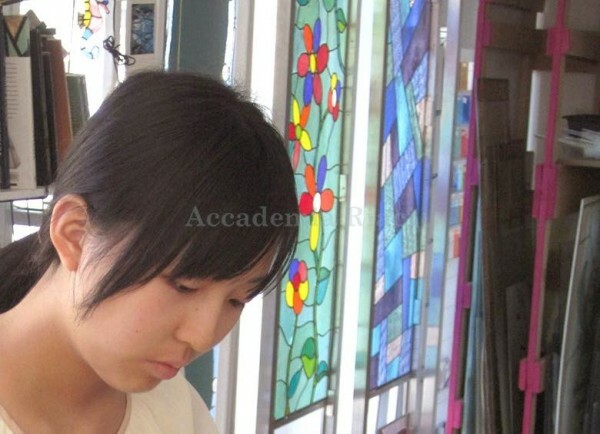 Diplomas are issued to those who pass the final exam. 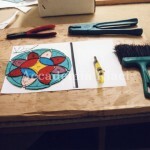 The same curriculum as One-year Course, except Basic Art Lessons. 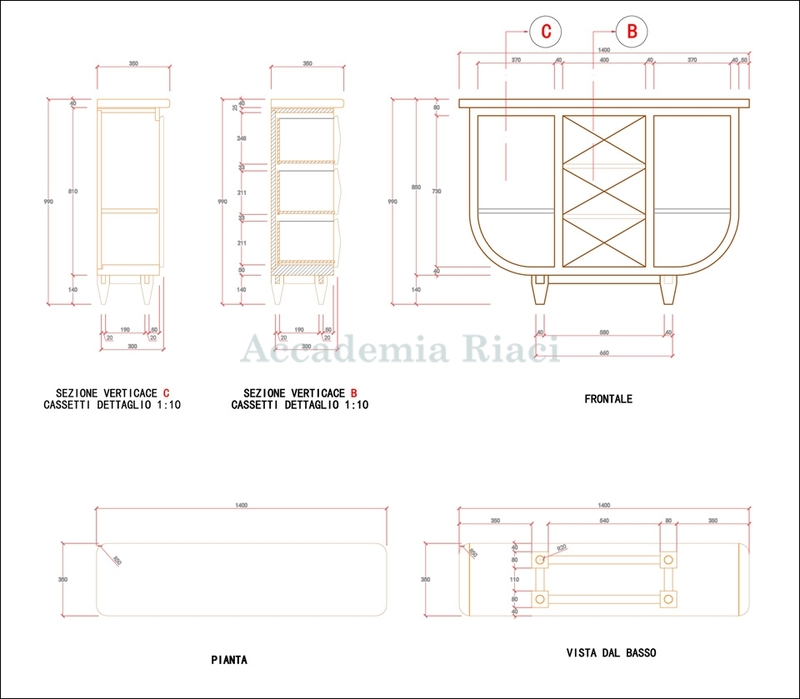 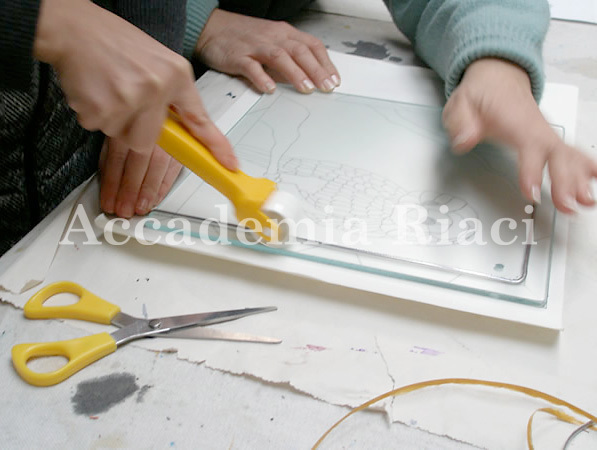 The graduate program in Glass at Accademia Riaci seeks students with a strong undergraduate background within the traditions of discipline. 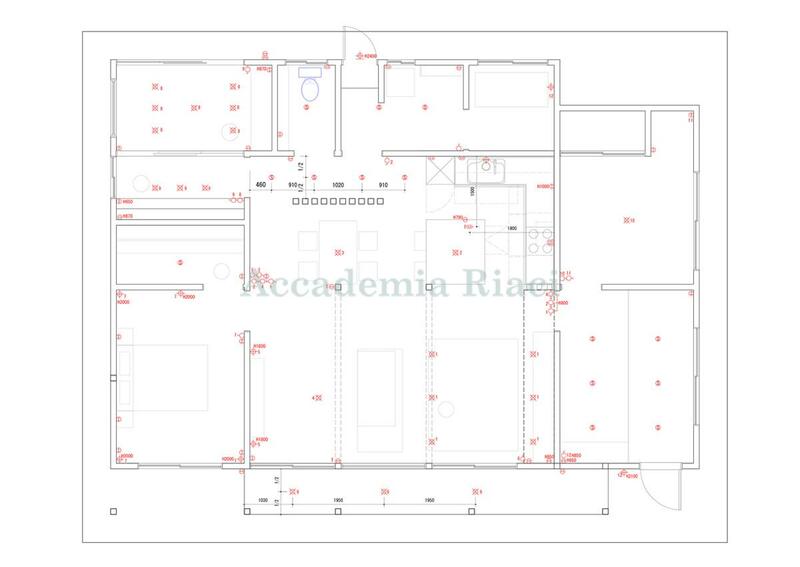 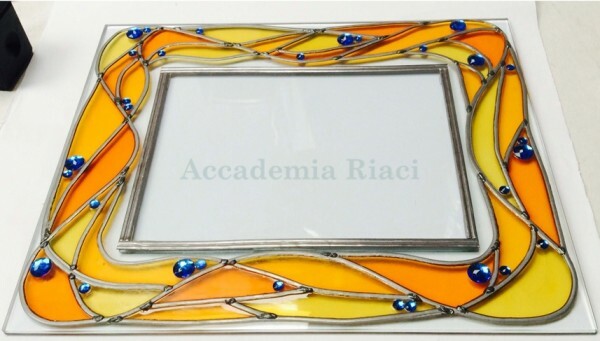 Students are expected to demonstrate both conceptual and technical excellence in a Glass area, as well as a profound interest in search and experimentation. 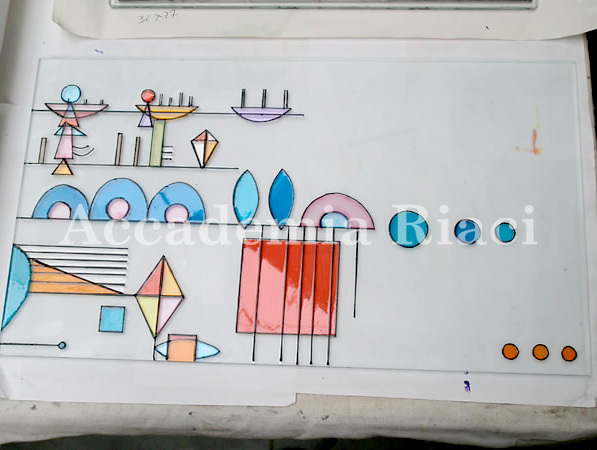 The program’s philosophy emphasizes the investigation and articulation of concepts leading to a high level of personal inquiry and resulting in work that challenges and extends the traditional boundaries of the media and their accepted definitions. 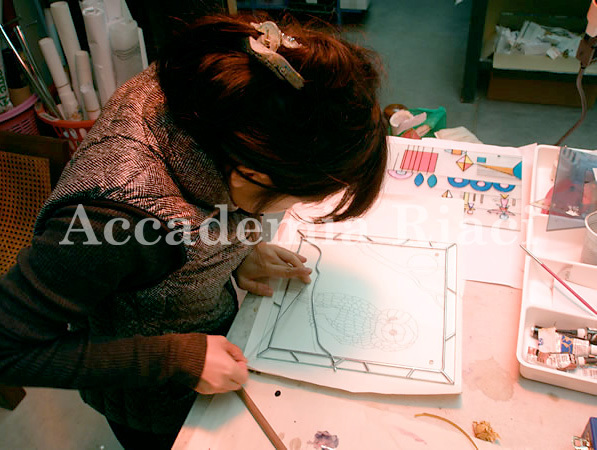 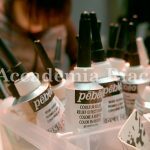 As such, the curriculum is enhanced by artist seminar, an outstanding resource that brings nationally renowned artists and critics working in a variety of media and venues to the campus for lectures, workshops, and student tutorials. 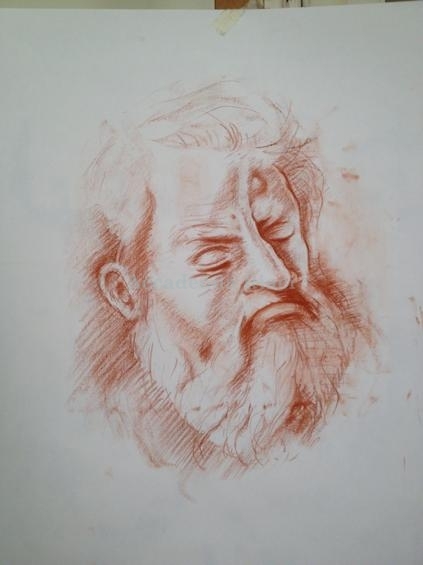 This course provides access to the work and ideas of professional artists, demonstrating firsthand the interconnected network of education galleries and public art. 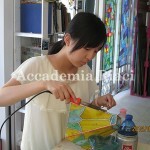 The artists invited to the campus, the surrounding community itself is rich with opportunities in the visual and performing arts. 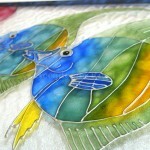 Glass is an exciting medium that uses a balance of light source and color. 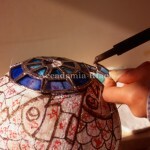 Dramatic results can be achieved regardless of artistic capability or experience. 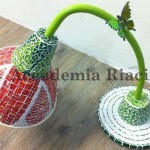 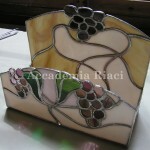 Italian Glass Art has held a great reputation in the world. 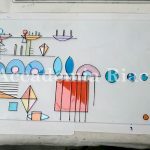 In this course, basic history, design and techniques will be addressed, with an emphasis on skills and technique. 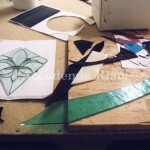 The copper foil method by making a sun catcher is studied to later become familiar with leading by constructing a small leaded panel. 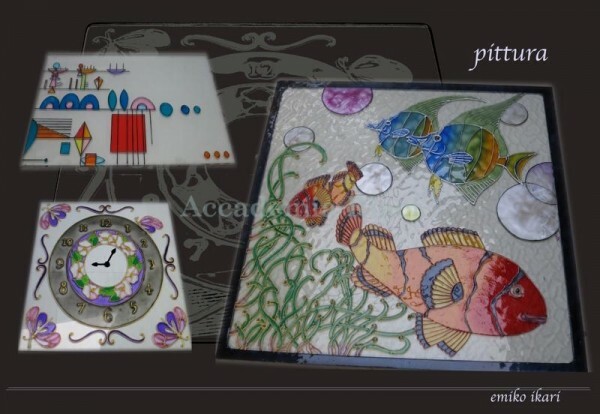 You can expect to complete a third project of your choice: a small lamp, jewelry box, panel, clock, accessories and many more. 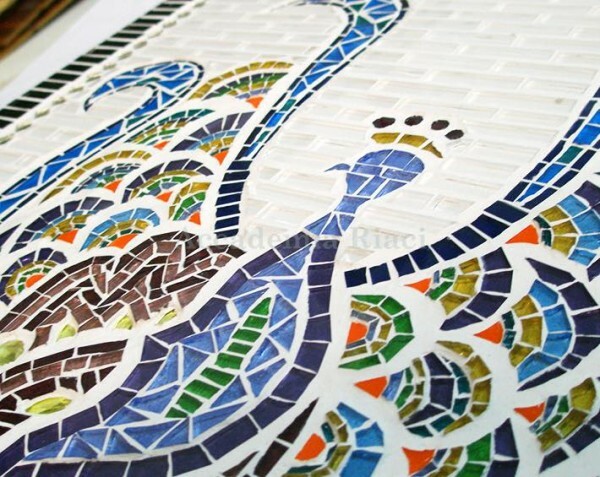 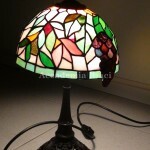 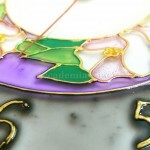 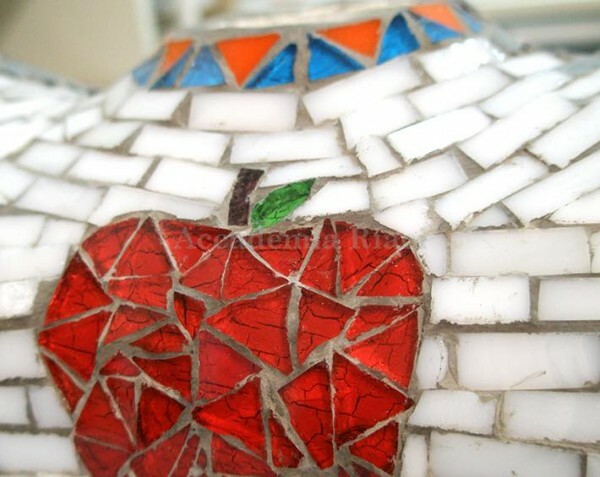 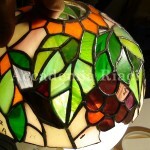 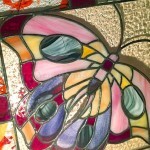 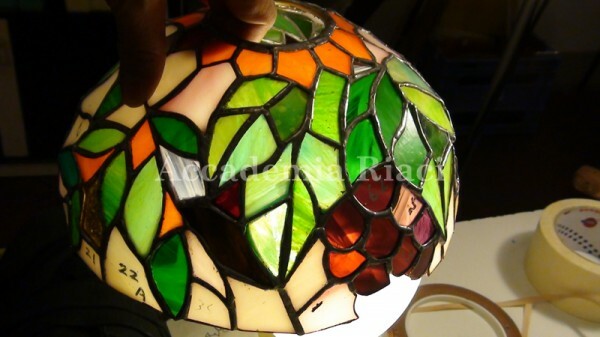 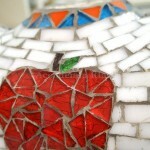 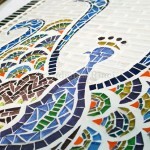 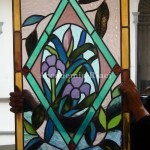 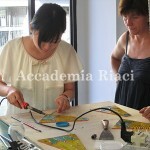 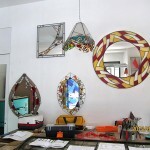 The course provides instruction in unique techniques such as Tiffany Style stained glass, mosaics, fusing design and techniques, along with business theories in the glass industry. 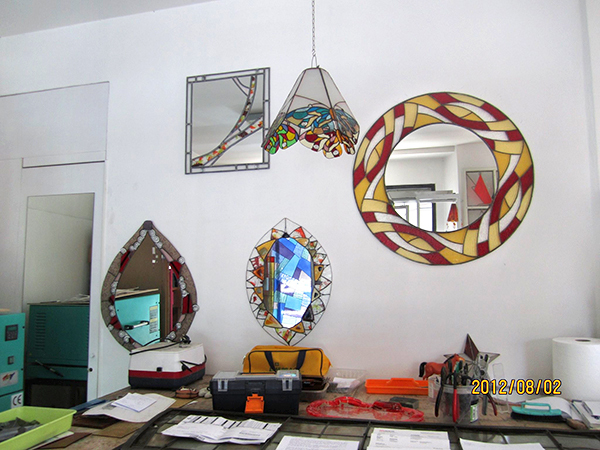 During the final semester, students are encouraged to challenge themselves with a more complex project, in the use of glass, design and techniques. 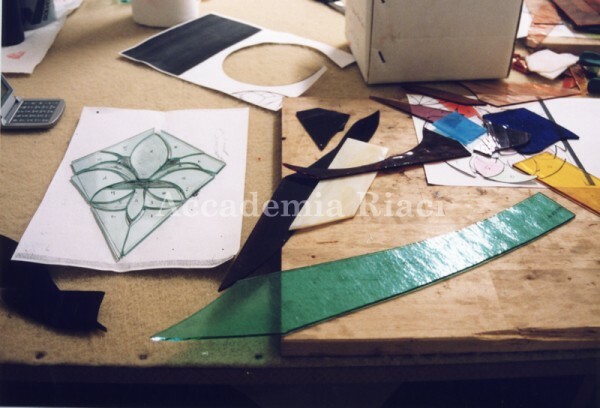 Unlimited opportunities are provided to explore original design, three-dimensional projects, and incorporating various levels into the Diploma Project. 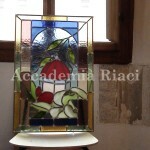 Stained-glass work seen in many churches in Italy continued to enchant people. 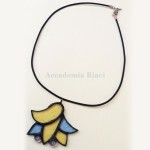 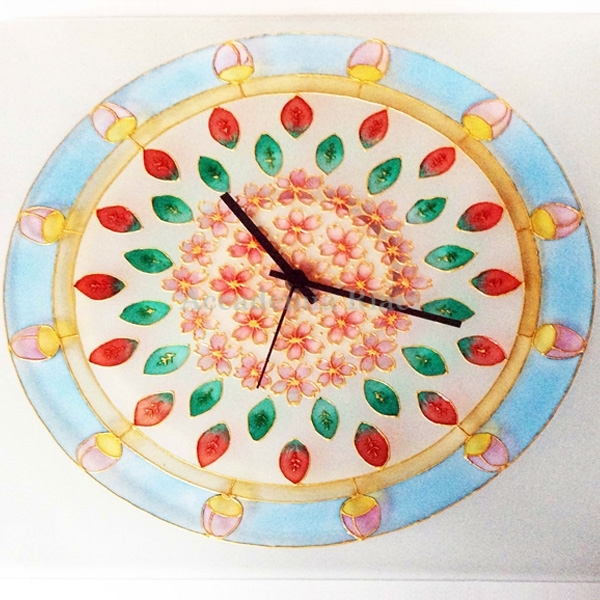 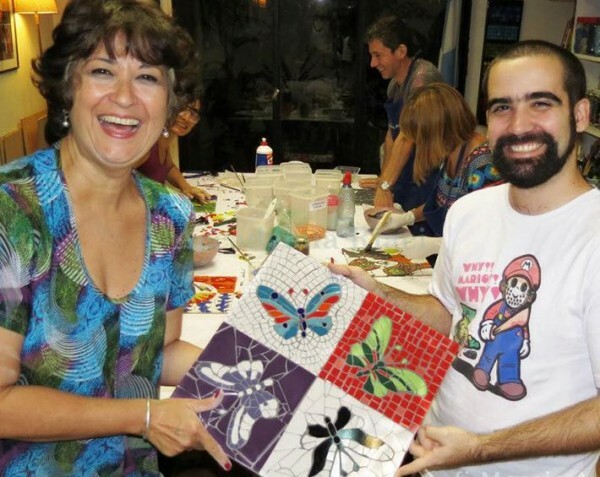 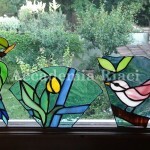 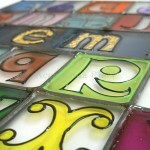 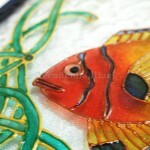 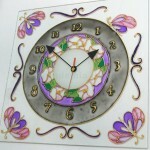 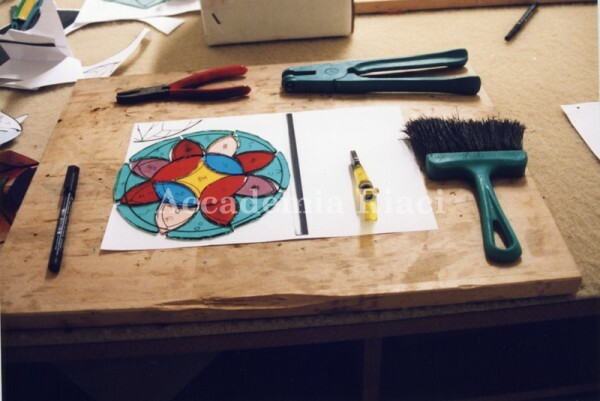 You will make this stained glass art directly from local artists. 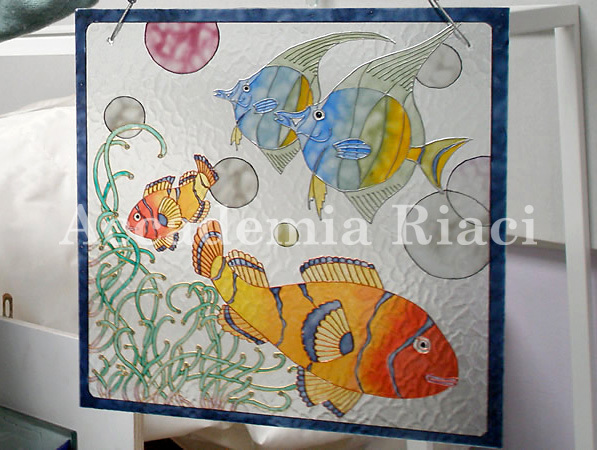 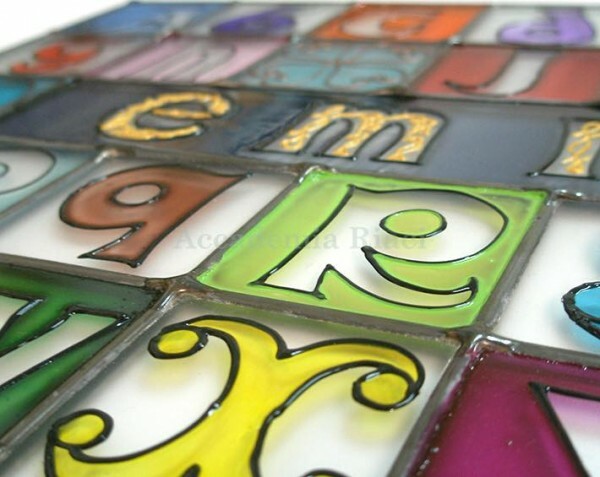 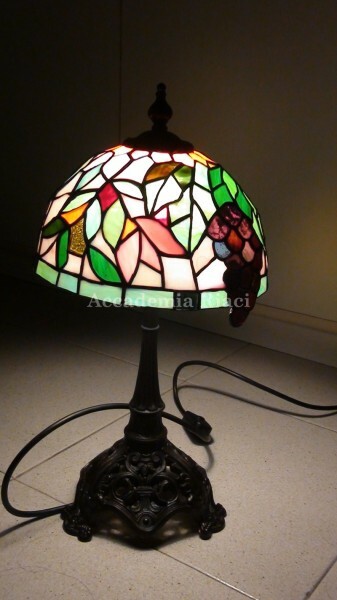 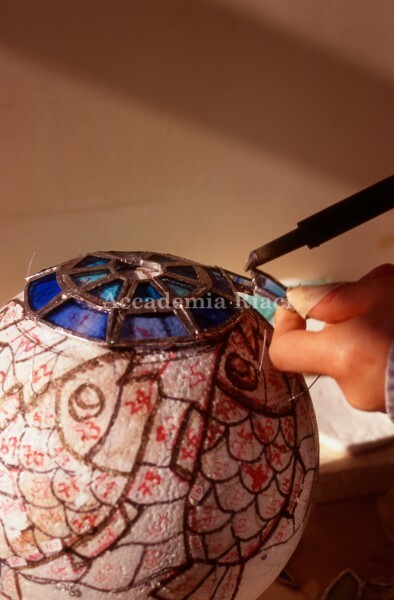 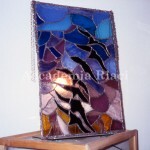 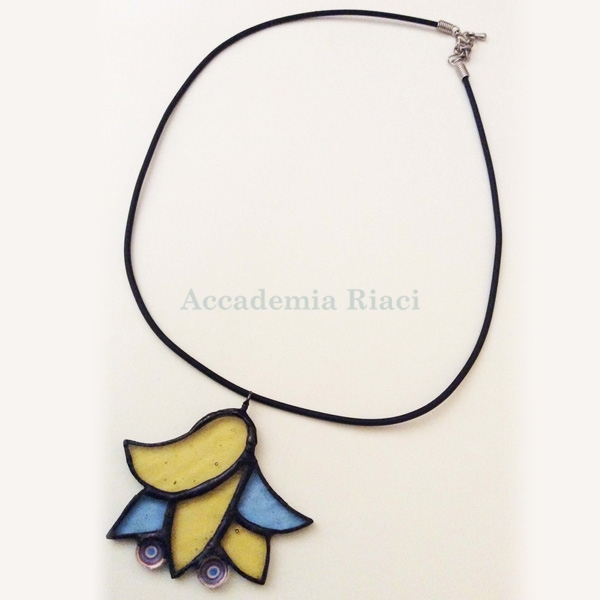 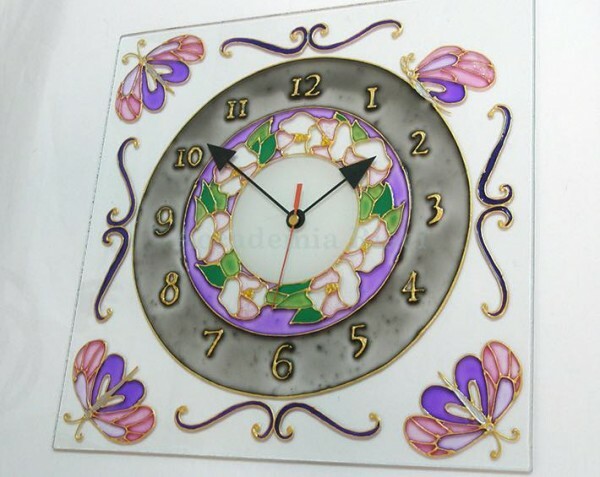 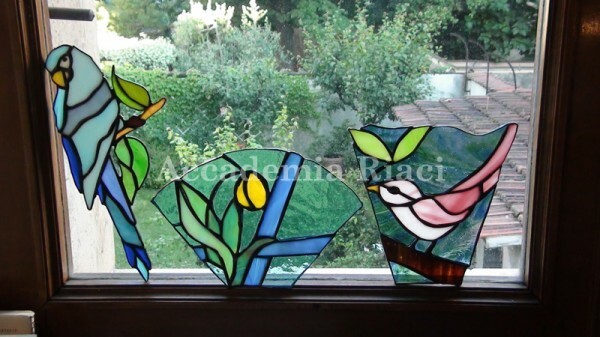 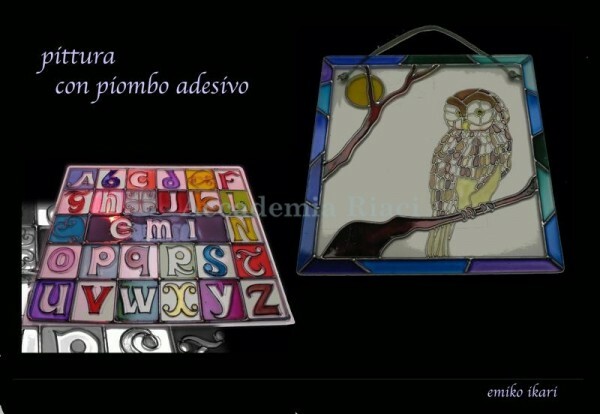 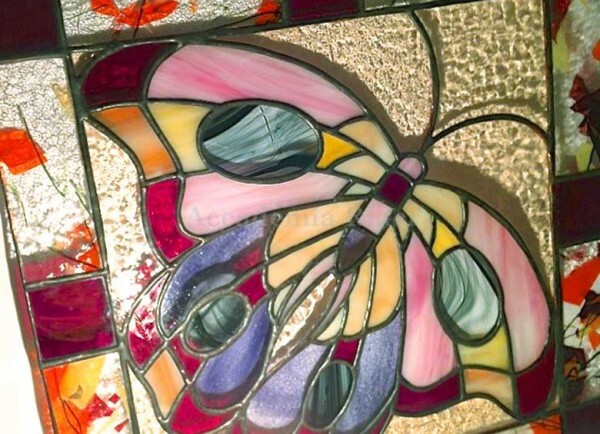 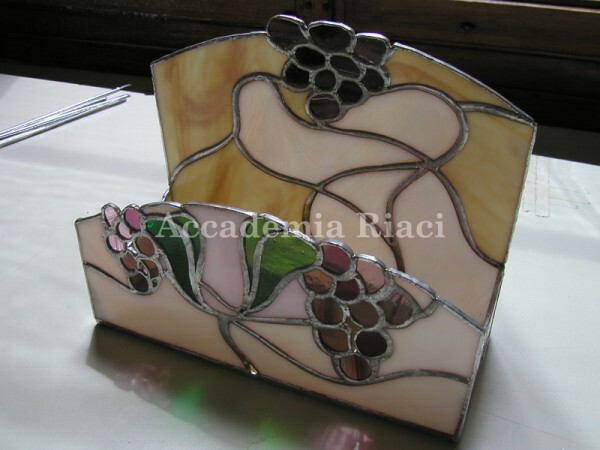 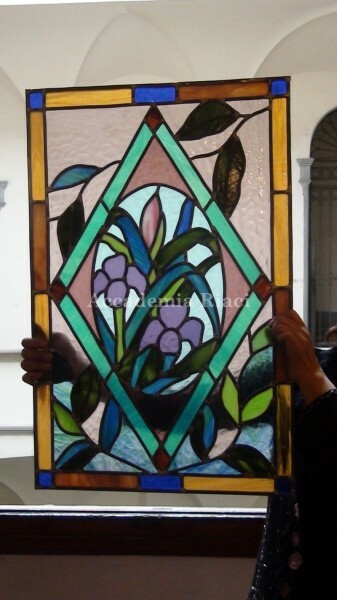 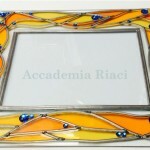 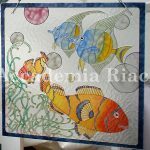 It is possible to make all forms of stained glass work, such as wall decoration, lamp, stand-cover, jewelry box, mirror decorated with stained glass, depending on the length of your participation in these classes. 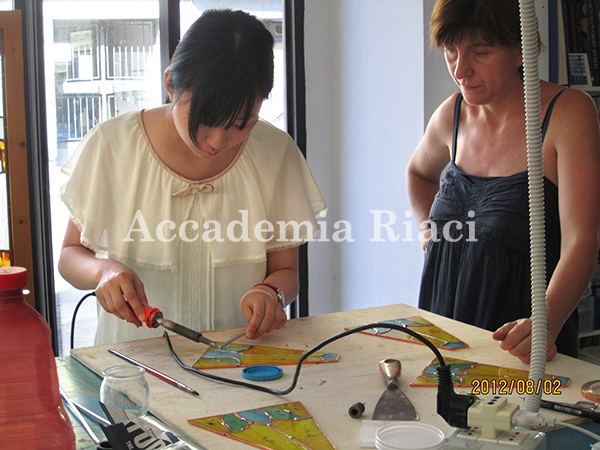 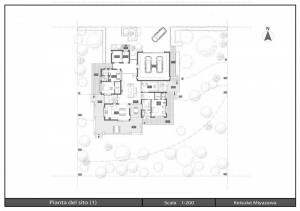 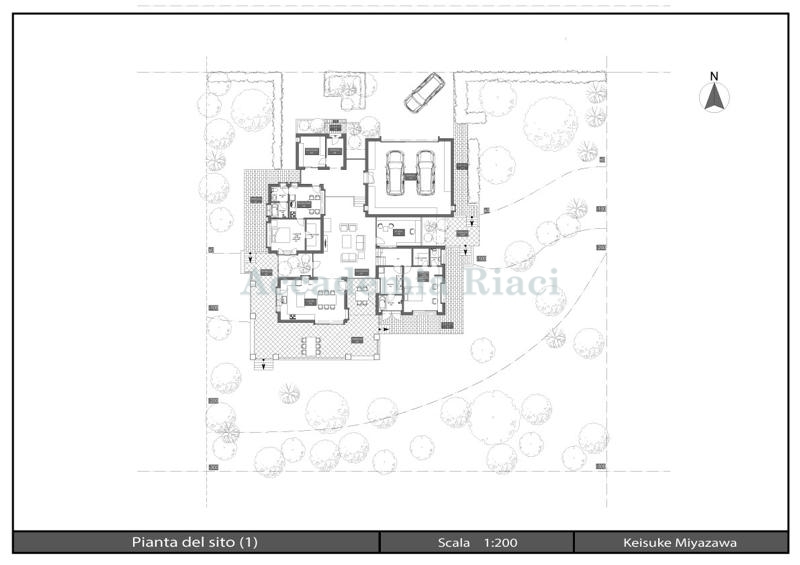 we will instruct you from the beginning, especially for those who never had a previous experiences. 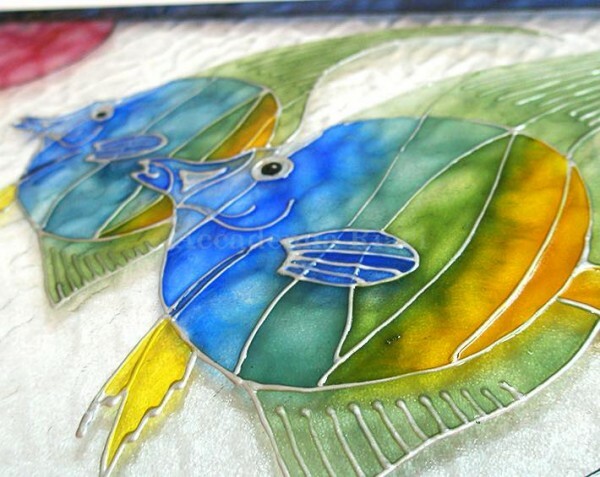 Our art glass instructor is a reputable artist who has been working in the field since he was young, driven by a strong passion and artistic sense. 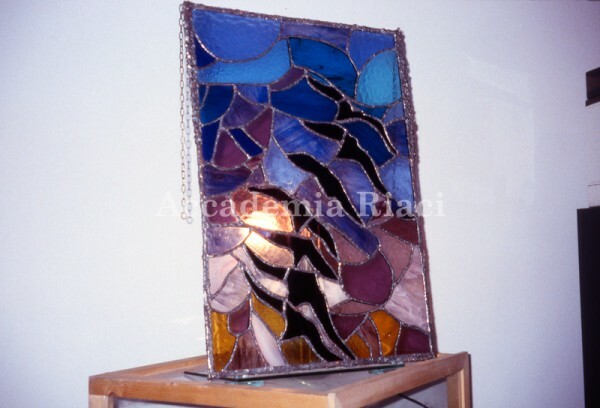 Prof. Baratti’s passion for Glass Art comes from his junior high school teacher, and he himself has the mission to transmit his knowledge to the new generations. 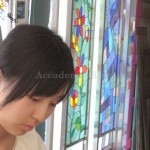 His various types of work represent his fine sensibility. 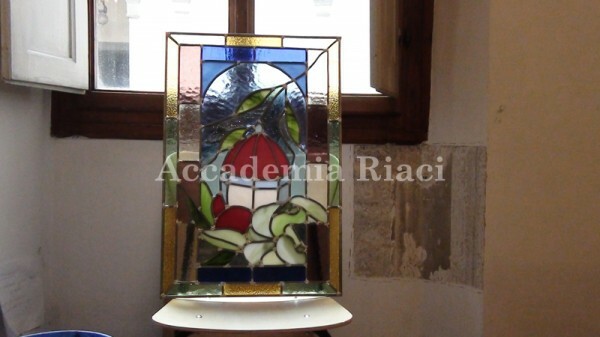 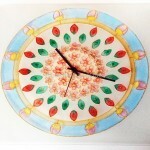 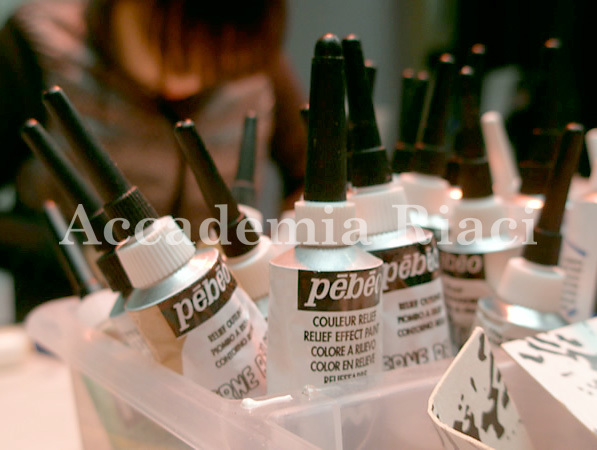 They are displayed in important churches and residential homes in Florence area. 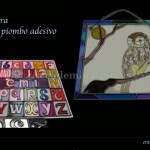 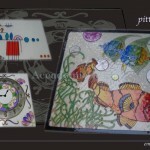 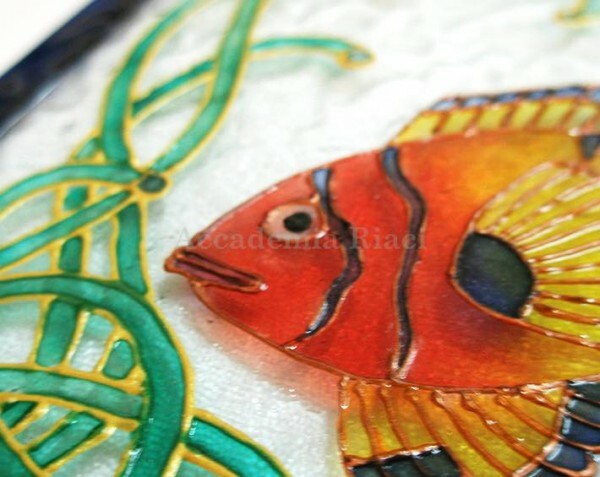 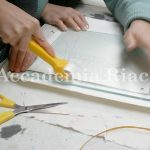 He is specialized in: stained glass with lead and brass techniques, Tiffany glass, fused glass, glass decoration, sandblasting, mosaic techniques, non-fired painting, etc.